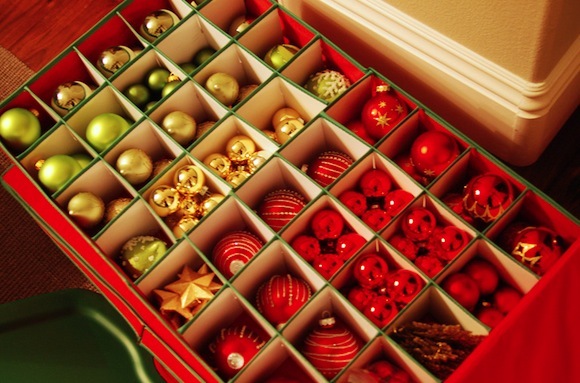 If you haven’t begun already, soon it will be time to take down the Christmas tree and pack up the decorations. Already a look-see down my street this afternoon exposed a few naked trees discarded and piled up at the curb, trash cans and recyclables filled to the brim with boxes and ribbon trailing out like ivy. Two days after Christmas, my friend Angela had the tree from her office dismantled and was well on her way to doing the same at home. So anxious is my mother-in-law to be done with Christmas, I imagine her mantle was swept bare, her artificial tree disassembled and packed away by the time we were out the driveway Christmas night. It seems to me that it says a lot about a person by seeing who packs up Christmas immediately afterwards, who waits until the New Year and who dawdles through January. Most years, I want to enjoy my decorations for a few more weeks after Christmas. There is a peace throughout the early months of January that lavishes itself upon my household like a cake glazed with warm frosting that is simply not present in the hustle and bustle of December. I enjoy relaxing amidst twinkly lights, candles and pretty decorations. Of course, there are some years this is not always the case. In October of 1992, my father died suddenly and tragically. Despite the many blessings of that year including the glorious birth of a healthy son with ten perfect fingers and toes, I went through the motions of the holidays as best I could, although I really wanted to kick the year to the curb and simply start anew in 1993. This year, as I was dragging down boxes from the attic preparing to decorate, I came across a Christmas Memory book my friend Kim Thompson gave me when my son was little. Every year, I was supposed to fill out what we had done that year, what special ways we celebrated the season. Flipping through the book, I could see that I had done just this for many years, but eventually I became distracted or perhaps the book was lost and I had stopped filling out its pages. It made me sad to realize how many memories of my family had been forgotten and lost. Yet I enjoy pilfering through my box of Christmas ornaments as I prepare to decorate. I have kept many of the little handmade paper ones from my son in elementary and preschool. There are the photo ornaments and the pet ornaments that remind me of the four-legged and winged members of our family. I have a few glass and handmade ones that I grew up with, scavenged before my parents’ house was cleaned out and sold. There are many ornaments that my family picked up on our travels, the red Cowboy boot from Oklahoma, the glass flamingo from Florida. Christmas 2014 is drawing to a close; regretfully, it’s back to work for me tomorrow. I am so very grateful for my friends and family, my health, my mind, the good fortune and opportunities that have come my way. I try to be accepting, if not grateful, of the negatives and bumps in the road that serve to point me in the right direction. When it’s time to dismantle the tree and take down the wreathes and garlands, pack them carefully. Store them safely in your attics. Wrap your memories in paper and bubble wrap.